Our partnership in “spirit” quickly became a perfect match. This means taking the experience of the enjoyment of whisky to the next sensory level. 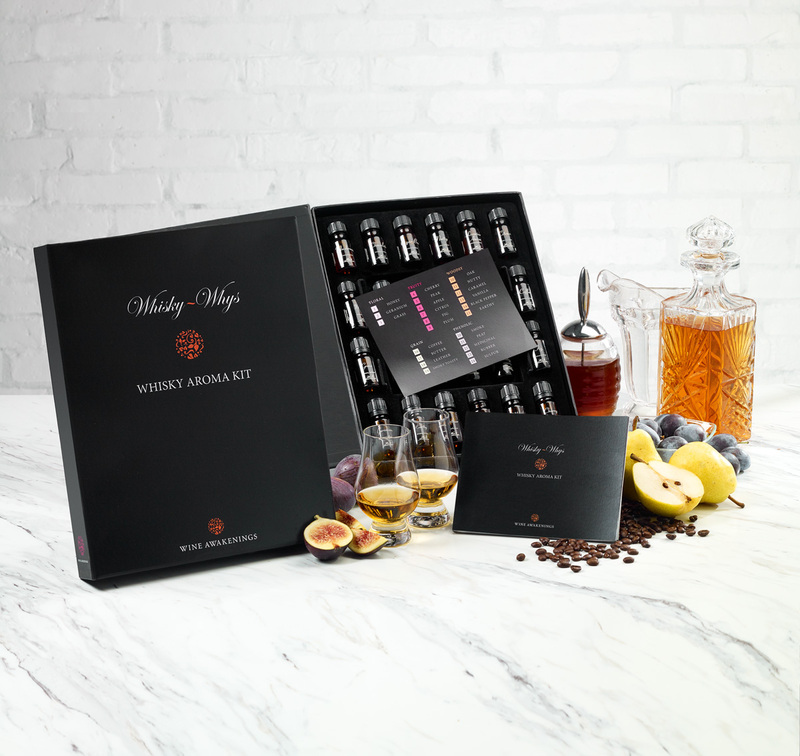 This Wine Awakenings’ Whisky Whys kit™ will enhance your ability to recognize and name the most common aromas present in whisky. Many people experience that tip-of-the-nose frustration of being able to recognize an aroma, but being unable to find the word to name it. voyage you will want to experience. This entry was posted in Home and tagged Aromas, business, christmas gifting, event planning, experiencial marketing, food and wine, gifting, gourmet food and wine, holiday gifting, holidays, new product, whisky, whisky kit, wine accessory, wine pairing, Wine Tasting. ← Candy & Wine – The Perfect Pairing!